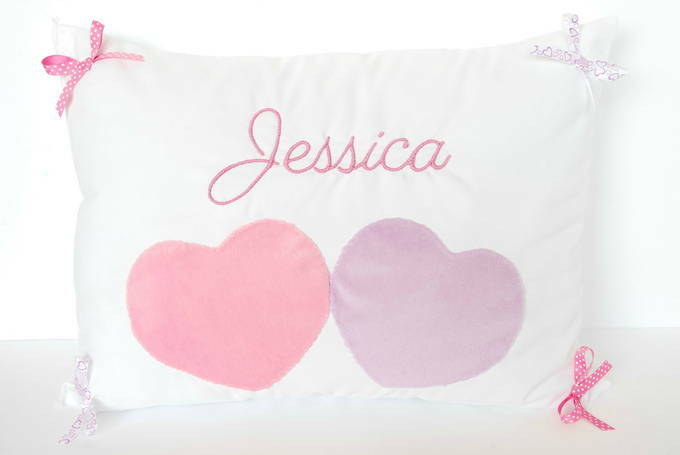 I betcha Jessica is going to looooove this personalized hearts pillow. She’ll be thrilled to see her name on such a pretty and girlie pillow. 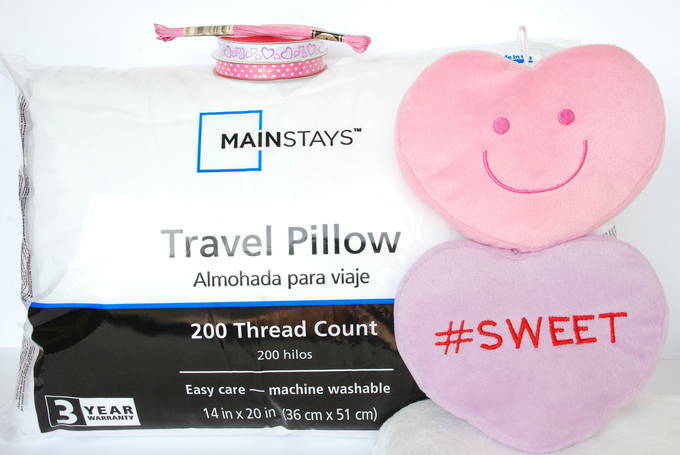 Maybe this will be her new lovie pillow that she takes everywhere. Or she could put it on the front and center spot on her bed. I wanted something small so I bought Walmart’s travel pillow. I opened the package and felt the fabric. It’s super soft – it felt like velvet. And this would be a perfect pillow for car trips. Here’s a look at the supplies I used. If you don’t see the hearts at your store, don’t worry, I’ve gotcha. I traced around them and made a pattern for you. That way you can choose any color and fabric. I opened up the side of the pillow to slide her name in so I could trace around it. She wanted this particular font. I used a split stitch to outline her name and then satin stitched across that to fill it in – all sewn from the outside of the pillow. I’d say the most time was spent on embroidering the name. 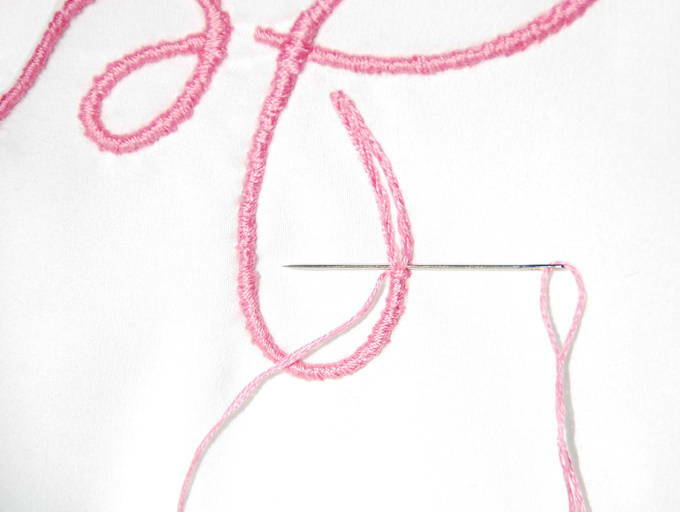 If you learn the satin stitch you can embroider words with fancy fonts OR you could stitch their signature on it. So, you sew the hearts on, the name, and then the ribbons. And then you close the pillow. You could order a personalized pillow like this – BUT it would cost you a lot more. Plus, it wouldn’t be nearly as soft. When you sew the hearts on, write your name in pencil on the fabric that will be underneath so your name is hidden inside the heart. How sweet!